For more than 20 years, Diversified Construction has been helping clients transform their living spaces into comfortable, functional, and beautiful areas that quickly become homeowners’ favorite spots. 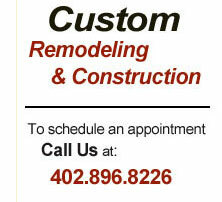 From single room remodels to entire property renovations, we can rejuvenate or expand any part of your home. In addition to our passion for design and our exceptional craftsmanship, we are committed to making the process as easy on you as possible. We are by your side, providing assistance with every single phase, so that when your project is complete, you’re glad you chose Diversified Construction. We measure our success based on the consistent referrals from clients who can’t wait to tell friends or family about the great experience they had working with our team. We’d love to talk with you about your next remodeling project.